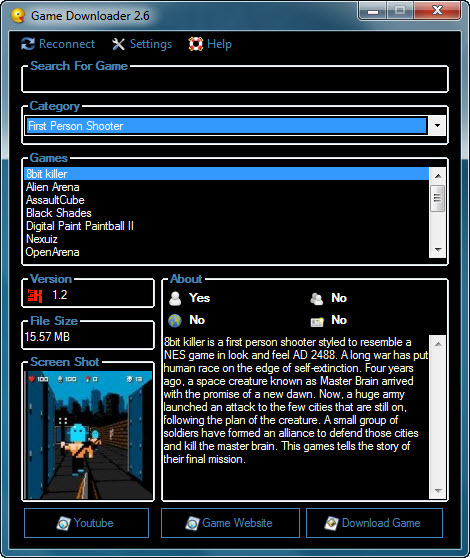 Game Downloader is a free open source portable game download client for windows.Game Downloader allows you to download more than 200 games, by simply selecting a game category then selecting any game from the available list. Games are added or updated weekly. Installer for the PortableApps platform.